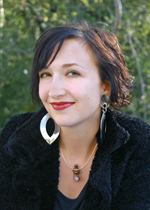 Elysia is the Senior Acquisitions Editor for Witchcraft, Wicca, Pagan, and magickal books at Llewellyn. She spoke with me about the new Pagan Conference this weekend, Paganicon. You are representing Llewellyn Publishing at Paganicon, what is their role in the event? We are one of the sponsors. This is the first time that we are stepping in as a sponsor for an event. What generally happens with regard to Pagan conferences, is sometimes I will be sent to them, and we’ll have a table or a display. We often provide items for a raffle or a charity cause. For many years I have been going to Pagan conferences, and it has been a loss that we haven’t had one here, in the Twin Cities. When I heard that there would be one here, I let the management at Llewellyn know, and said, “We really should get involved in this”. It is our community, and we want to support it, and hope it grows to be huge! For myself, I want to be involved in the future so it is just as much a success as others I have gone to. This year we are supporting by bringing John Michael Greer as Guest of Honor. We are providing his transport and meals, and Twin Cities Pagan Pride (TCPP) is providing his housing during his stay. This was a great way that we could work together, getting someone really interesting, and a “Big Name Pagan” (BNP) into the Twin Cities. It is a huge job to do a conference startup. Llewellyn, back in the 70’s sponsored a convention called Gnosticon. That lasted for several years. We talk about it at work, “Wouldn’t it be great if we could throw a festival or a convention?” It has always been impossible for us to do that. We would need staff that is dedicated just to that, it is such a huge job. You need volunteers, for registration, set up rooms, check badges, all of those things that go into setting up a big convention. That is why it is so awesome that TCPP is doing this. They have the staff and experience. A lot of people on the board are convention goers, so they also know how that operates in addition to Pagan Pride day events. I am glad they are organizing it, because Llewellyn just doesn’t have the staff or resources to pull this off, but we have always wanted one here! How did it all come together now? It is my understanding that in order for the TCPP to be more in-line with other Pagan Prides around the country, they wanted it to be not quite so insular and focus more on outreach. They hope to have an an outdoor Pagan Pride this fall. in a more public place with more foot traffic so that you have passers-by. People walking by and saying, “Wow, Pagans, what is this about?”, and learning something. The focus should be more on educating the public what Paganism is, and what it isn’t, talking about beginner level things.Meanwhile, Paganicon is meant for all the established Pagan community , those who are looking for deeper knowledge, and serious learning. Those who want to connect more with each other, not just the random passerby. We have a need for two very different events in our community, and this is a great way to address that. What are the advantages of an indoor event? Look outside, it is snowing! The weather is very capricious in the Twin Cities. It is nice to have an indoor event where it doesn’t matter if it is cold, or raining, or whatever. Personally, I really like hotel conventions because they allow people to get in contact with their community in a way that doesn’t require all of the ‘stuff’. They don’t require a major commitment of your time. If you are going to a camping event, you need serious supplies! You need a tent, air mattress, coolers, cooking and other supplies. You need a lot of stuff, it is a huge commitment, materially and time wise. I really enjoy the hotel conference. I can’t drive the country with all these supplies. Llewellyn will fly my in. I really haven’t been able to go to camping events, and that is just fine with me, I am really not a camping type of person. It is a lot more accessible to have an event in a hotel than a campground, Not only if you are an elder, but if you have special needs. I don’t know how the vendors feel, but I think it is a lot easier for them as well. What do you guess will be your personal highlight of Paganicon? Personally and professionally, I am pretty excited to see John Michael Greer. He is such a nice guy and he is so intelligent. I love hearing him speak. I have met him several times, at Pantheacon and at INATS (International New Age Trade Show ). He has never appeared in the Twin Cities. It is a really great way to introduce him to our community. 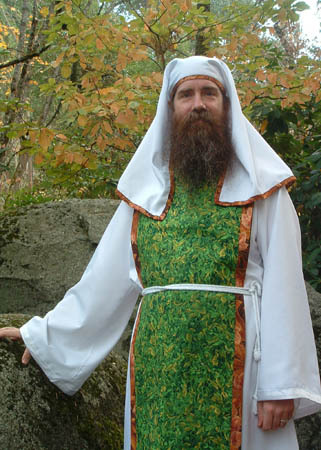 We have a lot of Druids in our community, and I think they will be very excited to meet with him. I am also looking forward to the talk on Pagans and the environment, which will be a panel. I think that is really crucial right now. The way things are going it is important for Pagans to talk about these issues, peak oil, which is already happened. How we are going to survive in our communities. My pet peeve is bottled water, do we really have to have water in plastic bottles everywhere we go? Why should the Pagan community attend Paganicon ? First of all you are with these people for an entire weekend. It is really different from going to a ritual for a few hours. You really feel on a different plane by the end of the event. You are surrounded by like-minded people. You are able to talk about subjects that interest you, regarding spirituality and magic. You come away with new connections, new knowledge. It is so enriching and it always makes me feel so much better. It definitely recharges my batteries, and who couldn’t use that at this time of year? Paganicon opens tomorrow at 4pm, with a welcome at 7pm and the Keynote address by John Michael Greer at 8pm. See the whole schedule! A few registrations are still available at the door. Contact TCPP, they may be still welcoming a few volunteers to help out. If you are attending Paganicon, please stop by the ‘Cave’, hospitality room 222, for information about the PNC-Minnesota Bureau, or to offer your thoughts on the Pagan Newswire Collective!